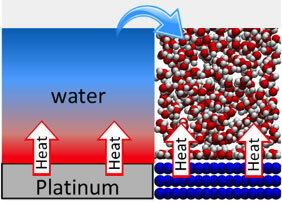 Researchers are exploting heat transfer in water at the nanoscale, where the heat from the pot's atoms transfers to the atoms that make up water. 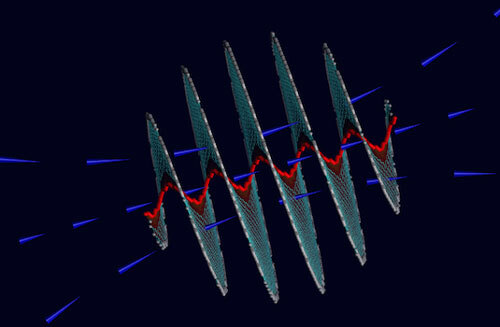 Researchers discover graphene spirals could challenge macro solenoids. Is black phosphorous the next big thing in materials? 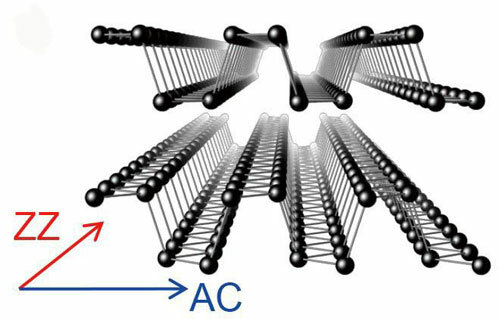 Researchers discover unique thermal properties in 2-D black phosphorous nanoribbons. 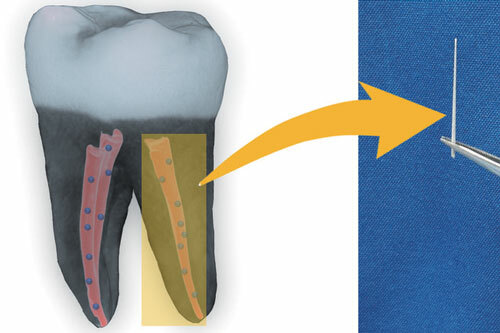 New dentistry research finds that the tiny particles strengthen the compound used to fill teeth and ward off infection. Researchers have demonstrated a new hybrid system that is a promising candidate as a building block for quantum computation, showing a way to couple a natural phosphorus atom with an artificial atom called a quantum dot. Scientists identify the factors involved in preventing nanoparticles used in industrial applications from aggregating. Nanoparticles with sizes the order of a wavelength interact with light in specific ways. 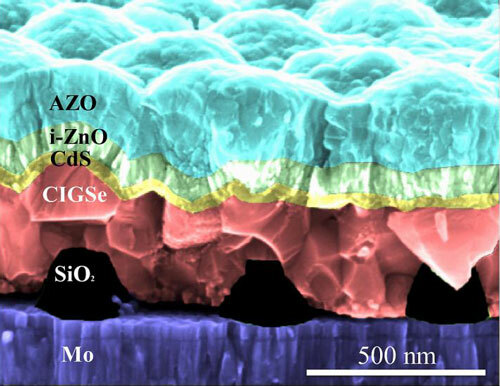 Researchers are inquiring how to use arrangements of such nanoparticles to improve solar cells and other opto-electronic devices. What are these nanostars in 2-D superconductor supposed to mean? Physicists have discovered magnetic disturbances in 2-D superconductor layer, resembling little oscillating stars; these star-like excitations are caused by a single magnetic atom put into the layer of superconducting material. 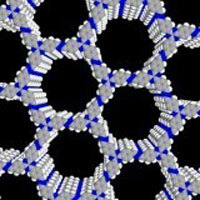 An organic framework serves as a catalyst for the photocatalytic conversion of water into hydrogen. Engineers have created a plastic 'skin' that can detect how hard it is being pressed and generate an electric signal to deliver this sensory input directly to a living brain cell. A water-based polymer can stretch, contract and even walk like an artificial muscle in response to temperature changes. 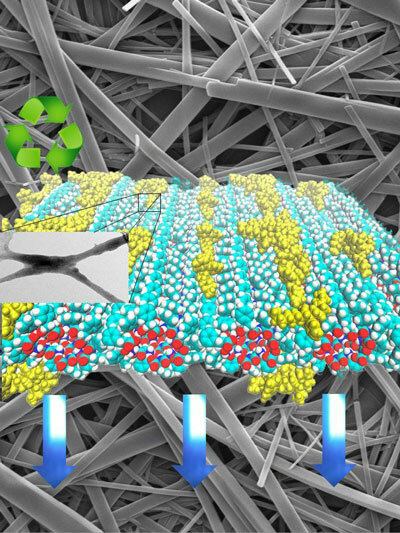 Researchers are on the path to creating biodegradable electronics by using organic components in screen displays. The researchers' advancements could one day help reduce electronic waste in the world's landfills. Researchers have carried out a collaborative study aimed at precisely controlling phase transformations with high spatial precision, which represents a significant step forward in realizing new functionalities in confined dimensions. 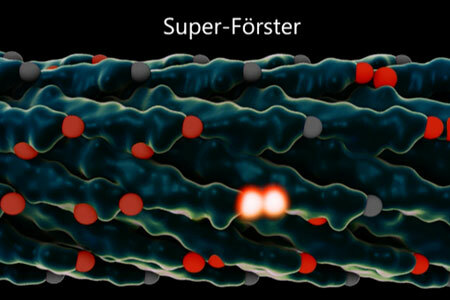 Researchers have designed a new type of molecular motor. In contrast to previous designs, this molecule is symmetrical. It comprises two parts, which are connected by a central 'axle' and rotate in opposite directions, just like the wheels of a car. Researchers use engineered viruses to provide quantum-based enhancement of energy transport.